English into a foreign language? Here at OPAL Translation, we are able to translate your degree certificate for you, 100% NAATI certified and acceptable for use in Australia for official purposes. Our service is online, so you can order your degree certificate translation from the comfort of your own home. Getting your degree certificate translated in Australia doesn’t have to be a chore. The team at OPAL Translation are experts in Degree translation services. We know the regulations in Australia. We ensure that all translations that we provide are NAATI certified. All of our translations are backed by our 100% Acceptance Guarantee. So, why wait? Get your free quote today! How quickly will I receive my translation? The turnaround time will depend on how complex your document is. Not only that but it also depends on the language and availability of the translator. On average, with our standard translation services, you will receive your document in 2 to 3 working days. On the other hand, we can prioritise and expedite your translation project if you are in a hurry. Just let us know via the Live Chat and let us know your requirements so we can start working on your requests. How much does it cost to translate a degree certificate? Our NAATI certified degree certificate translation service is the most affordable service in Australia, with prices starting at only $69.00 per degree certificate. It is important to note that we do offer a variety of languages and speed options so the pricing for our degree certificate translation service may vary when requesting a quote. The best way to get an exact price is to request a free quote on this web page. It takes only a few minutes and you will receive a quote within 15 minutes via email. How can I order the translation of my degree certificate? 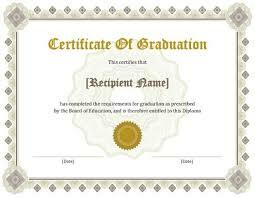 We will deliver your draft degree certificate translation via email for your review and approval. Once approved, we will provide you with the final NAATI certified digital degree certificate translation via email and also post out the original hard copy degree certificate translation in the Post. What languages can you translate degree certificates from? Our degree certificate translation service is available for all languages, with all translations being completed by a NAATI accredited/recognised translator with relevant skills for the translation. Languages that our service is available from include (but is not limited to) Arabic, Chinese, German, Spanish, French, Italian, Japanese, Korean, Greek, Swedish, Malay, Indonesian, Polish, Croatian, Serbian and Thai. But we do also translate all languages, so simply complete the form on this page to enquire about our degree certificate translation service. Do I need to have a NAATI certified translation of my degree certificate? A NAATI certified translation is one that has been completed by a NAATI accredited or recognised translator. Most authorities in Australia, including Government departments and Universities require English translations of documents to be completed be a NAATI accredited translator so that they have confidence in the translation. You should always check with the relevant authority for their requirements. Our NAATI certified degree certificate translation service is 100% NAATI certified and can be used for official purposes in Australia – but always check your authority for any extra requirements that they may have. Do you have other questions? Our Live Chat is open 24/7 for all of your enquiries. We have dedicated customer service representatives who love their job. You can expect a reply in just a few minutes via the chat box below. Prices for a degree certificate translation starts at only $69.00 – get a free quote today! If you are looking to have an exact price for your degree certificate translation simply complete the free quote form on this page and we will get back to you within 15 minutes via email – our customer service representatives are here to assist you 24/7. Did you know that these fun facts and trivia about degree certificates? The ijazah is an early type of academic degree. It was issued at madrasahs since the 8th century in the medieval Islamic world. Before, the naming of degrees was linked with studied subjects. Master was given to scholar under arts and grammar faculties while doctor was given to those who are in law, medicine, and theology. The German universities developed the term doctor for PhDs which eventually spread around the world. Instead of an educational institution, the authority of the bishop or the monarch directly issued degrees. Despite not being a university, St David’s College, Lampeter was given in the 19th-century limited degree awarding powers by the royal charter.